Every year some homeowners will experience problems with their garage door opener. While a lot of issues are easily fixed such as replacing the batteries in the remote, or making sure there isn't anything in front of the sensors, others require professional assistance. Our experts have years of experience and know-how when it comes to repairing opener triggered malfunctions. It's usually very frustrating when your garage door won't close. While batteries or a dead keypad could be the problem, the issue is usually with the opener. If the door remains open no matter what you are trying to do, it's important to call us for professional repairs – we'll inspect your unit and get it working again as quickly as possible. There are a number of things that could be causing your door to open up again immediately after it closes. There could be a fault with the opener sensors so it's important to call in a professional quickly if this is happening. Problems with the safety sensors can be very dangerous because your door relies on them to detect people and objects in its path - if your sensors are not correctly functioning this could turn into a significant safety hazard. If the settings are configured incorrectly, your opener will not know how far down the door needs to go to completely shut. Adjusting these settings is no easy feat and involves measuring the space between where the door is stopping and the ground, then making precise adjustments. Professional repair is recommended to rectify the problem quickly – we'll sort the issue and minimize frustration at your end as much as possible. 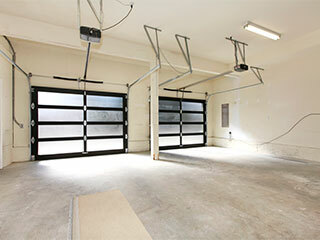 At Garage Door Repair Jupiter, we can take care of all of opener related problems. No matter what the issue is, you can rest easy knowing that you will get the professional care you need and that we will repair the problem before we leave. Call us today to talk to a professional about the problems you're having!